Malaysia Buy Reload Online, Fast Top Up! We are major Malaysia Reload site for you Buy Online Reload, Singapore Online Top Up, India Online Recharge mobile prepiad credit via online instantly, fast Reload, fast Top Up and fast Recharge. The payments can be made through all major credit card or debit card via paypal.com. Sign Up paypal now! Customer Service (24Hour): +6012.933.6318 for enquiry or Top Up Online! Dear Customer, Welcome to OnlineTopup.net!!! Your convience Online Topup shop - Topup instantly. Can't get to the shops to buy a voucher, Topup Card? Need to top up the your love one? You can get all your mobile top up Credit/vouchers instantly online right here, what's more you can pay with any debit/credit payment card through PayPal. Pay by using credit card, Paypal Accepted for online reload. How to reload from oversea? Directly buy from us, once payment confirmed, your will receive SMS notification on success topup to your prepaid. Current Supported Online Top Up! Malaysia Online Reload/Topup: Buy Reload Top Up Online! Singapore Online Top Up Buy SingTel Easy Top Up! - Buy Starhub Top Up Online coming soon! 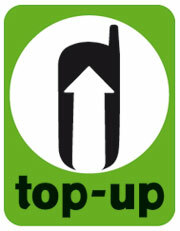 - Buy M1 Top Up Online coming soon! India Online ReCharge Buy Recharge! Indonesia Online Recharge Buy Indonesia Pulsa! *Please note there is additional charges apply for using paypal and admin fee on top of actual reload amount purchase on this site. We are using USD currency in all our product on this site.